Transportation Costs > How Much Does an Expired Tag Ticket Cost? How Much Does an Expired Tag Ticket Cost? 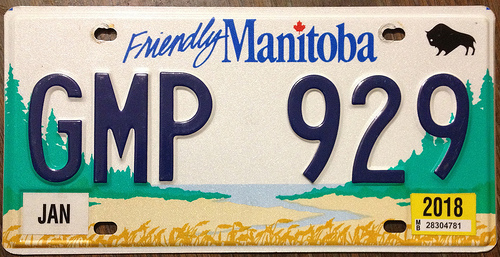 An expired tag or registration ticket is issued when the sticker/tag placed on the license plate has expired. These tabs usually expire on the driver’s date of birth; however, all states are different and may expire on the date you registered the vehicle. These tags are different colors to help law enforcement easily see if the tabs are current or expired. What happens if you drive with expired tags? Well, nothing if you don’t get caught, but since these tags will have a colored tag from last year, it will be fairly easy for a law officer to issue a citation once they find you. The longer you wait, the greater your fines and chances of an impound will be. Depending on the city, the state and circumstances, most expired tag tickets are going to range anywhere from as little as $25 to as much as $275. Most of the states we had researched were within the $100 to $200 fine range. In California, for example, they apply a “penalty assessment,” which is a state tax/multiplier, which can be up to five times the base amount. The Law Office of Scott Miller states that an expired tag in Georgia can cost anywhere from as little as $30 to $135, depending on the scenario. In the city of Walker, Michigan, the costs of an expired plate is $105, with zero points on your license. On this Yelp forum thread, a forum member asked if there’s a grace period for expired tags in Washington state. One member replied, stating that if you were parked on a public street, the fine would be $36; however, if you were pulled over, the fine could increase to $150 or so. If your car is impounded, it could cost $200+ to recover your vehicle at a local impound yard. The officer who pulls you over for an expired tag may discover other violations that may call for another citation, such as driving without an expired license and/or invalid insurance. While rare and not worth it for just an expired tag ticket, if you plan on fighting the ticket or hiring a lawyer to do so, this needs to be budgeted for as well. A good lawyer can charge $200+ per hour. In the case of an expired tag, there are several potential punishments you may face. An officer, depending on the circumstances, may issue a citation, requiring you to renew with 30 days; let you off with a warning; write a citation and impound the vehicle if the registration has been expired for longer than six months; or offer a citation and not impound the vehicle, even though it has been longer than six months. Normally, a registered owner receives a renewal notice from the DMV about 45 days before his or her vehicle’s registration expires. Most of these renewals can be done through the mail, online or at a local DMV office. Because it’s considered a “non-moving” violation, you can still receive a ticket, even if you’re not driving the car; however, the car must be parked on public property in order to receive a citation. Some states do have a grace period, so refer to your local laws. In Colorado, Oklahoma and Iowa, for example, they give you one month after the ticket expires, whereas Texas will only give you five days. If you do receive a ticket for expired tags, schedule a court hearing to explain your case. While you will probably still have to pay the ticket and renew the tags, appealing the ticket in court can often get you out of points on your license. In some states, the violation may be dismissed or the fines will be dropped significantly upon showing proof that the matter was remedied. Talk with your local court to see if the fees may be waived. Even though it may be too late, stay on top of renewing your registration. Whether it’s setting a phone reminder or paying immediately upon receiving the bill, it’s important to keep your tabs up to date. How much is the ticket in Trenton for expired plates?